Passed down through 15 generations of the Beretta family, with almost 500 years of business, has enriched Beretta with enormous experience and knowledge. This has allowed it to develop specific and superior technology in the field of precision mechanics. The production departments feature fully automated work centres and highly qualified craftsmen, a prerequisite for achieving the degree of precision and high quality contemplated by its design projects. In the early 1990s, Beretta added a complete line of apparel and accessories for hunting, clay target shooting and outdoor sports items which rapidly earned it a reputation for high-tech content and understated elegance. Please view our Beretta Catalogue for product information and availability in Canada. For more information on Beretta, please click here. Be part of the #BerettaTribe. Click here for more information. BUILT TO GO WHEREVER YOUR HUNT TAKES YOU. The A400 Xtreme Plus is the next step in the evolution of the world's softest shooting waterfowl shotgun. Beretta has incorporated technology developed for competition shooting into the premier waterfowl shotgun on the market. 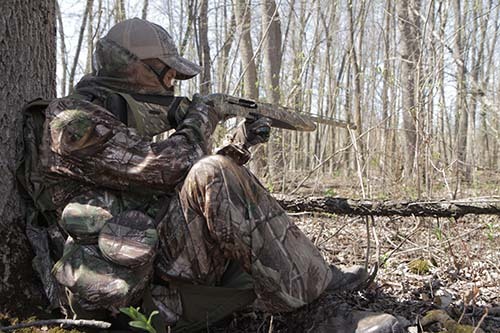 Mossy Oak Bottomland, Max 5, Black Synthetic, DRT, or Optifade, the A400 Xtreme is comfort, power and reliability at the highest level. Perfect for any type of hunting. The Beasley Brothers are born and raised Canadian boys who have always loved the great outdoors. They were raised hunting, fishing and playing hockey like most Canadian kids. Their extreme passion and love of family led them down a path into the hunting industry. They now work full time as hosts of Canadas most watched hunting TV series Canada in the Rough. The Documentary series features the greatness of Canada as the brothers explore the country’s vast unspoiled wilderness from coasts to coast to coast filming their hunting adventures and sharing their love of family, conservation and the great nation they call home. Canada in the Rough is currently airing Nationally in Canada in both English and French, nationally in the USA and in 25 countries around the world.